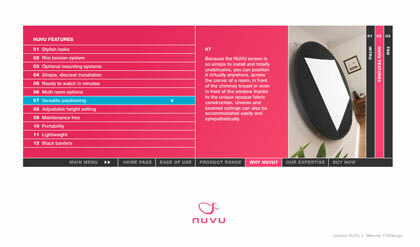 After inventing the product name and designing the identity for the Nuvu Screen, we produced a Flash website which focused on the lifestyle aspect of the product and moved it away from being overtly technological or masculine. 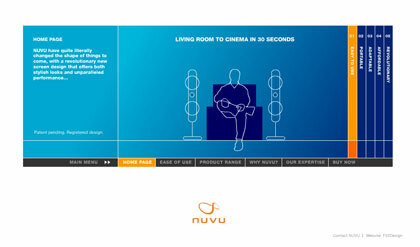 The animated website emphasises the flexibility of the screen and its adaptability to different environments and uses. 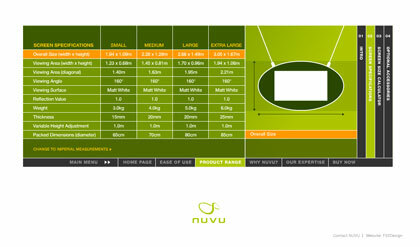 Click here to go to the Nuvu website.